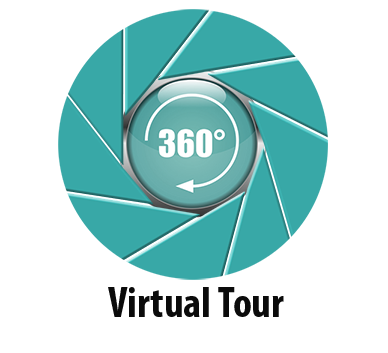 Whereas the single panoramic image may contain a very rich content and a staggering amount of information, the experience becomes even more engaging when panoramas are linked together to create an investigative process, often referred to as a virtual tour. The web contains literally millions of references to virtual tours. However, not all sites that offer “Interactive virtual Tours” actually hold up on the promise. In many if not most cases, the best one will get will be links to various photos of the chosen place. Possibly a slideshow and if we’re lucky then also a short movie. True interaction with linked panoramic content is far rarer. Google, who revolutionised online viewing with Google Images, Google Maps and Google Earth, extended the viewing experience with Google Street View which links the map data and GPS coordinates with massive numbers of linked panoramic images of streets as viewed from a specific chosen spot. This ongoing mammoth task offers the viewer or participant not only choice of angle of view, i.e. where to look, but also a changing perspective as he moves with the mouse down the virtual street. In a true photographic image, the camera is positioned at a single spot during the image making process. Therefore no amount of rotation, zoom or pan will or can change the actual perspective in the image. That is set by the relative distances of the objects in the scene to the camera. Those are set at the moment of the shoot and can not change. However, by linking vast numbers of panoramas, taken a few meters apart, a sense of interaction with the perspective can be offered as the user shifts seamlessly from one viewpoint to the next. Such is Google Street View. Carried on the success of Street View, Google embarked in February 2011 on an ambitious project to offer high resolution virtual panoramic tours of the great museums and galleries of the world. The Google Art Project launched with 17 museums and galleries. Today it covers over 150 and the number keeps growing. The same technology has been applied here in the Virtual Tour of the Unsleben cemetery. Not only are the many panoramic images linked to one another via guiding arrows, but they are also linked to an interactive map of the cemetery layout, created via the photogrammetry described in the Imaging Technology section. In addition, each tombstone is ascribed a “hotspot”. Rolling the mouse over the tombstone reveals the name of the person buried there. Clicking on the tombstone links to a page containing detailed data about the stone and where possible also the person.